A deluxe blend providing a superior lawn – can be used in all sun or moderate shade. 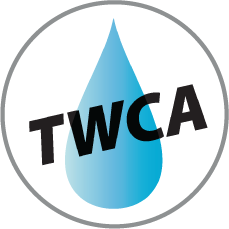 TWCA Mixture - proven to provide a clear benefit in water conservation. A fescue based mixture for use in low maintenance areas providing excellent drought tolerance. A mixture designed for quick establishment and quality turf at an affordable price. A multi-purpose mixture with annual ryegrass for quick establishment. A mixture developed by the Ministry of Transportation for land reclamation along roadsides. A quick emerging, perennial ryegrass blend for repairing bare spots and thickening existing lawns. Low maintenance ground cover ideal for large properties, playgrounds and cottages. Tried and proven – A Speare Seeds mixture for over 40 years. An excellent, economical option for new lawns or overseeding. 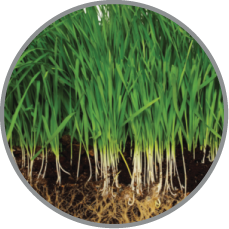 A traditional and all-purpose turf mixture with perennial ryegrass for long-lasting results. Specially designed for shaded areas or areas that lack morning sunlight. A true Sun & Shade mixture built for most soil types. A high quality mixture suitable for all lawns. A quick establishing, completely regenerating and revolutionary seed mixture. Use for overseeding to restore your grass to a dense, healthy lawn. Also to be used for repairing bare spots & thickening existing lawns. Overseed every spring and fall to maintain a thick, sod-like lawn. An all-purpose mixture at an affordable price. Performs well in low maintenance areas. 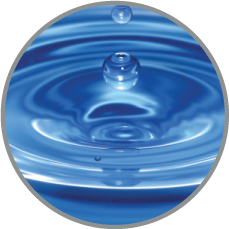 TWCA Mixture - proven to provide a clear benefit in water conservation. Pink seed coated with Water Sense™ technology produces a beautiful, green lawn. A quality product supporting the Canadian Breast Cancer Foundation. 7 lbs. per 1,000 sq. ft.
An environmentally-friendly product packaged in a biodegradable and recyclable bag. This mixture reduces mowing frequency, gives you a low maintenance lawn and requires less watering. A low growing persistant fine-leafed variety species which produces a blue-green colour. A low growing, environmentally friendly clover with tiny micro leaves that produce their own source of natural nitrogen which feeds your lawn constantly. 500 g. per 1,000 sq. ft. Robust, adaptive, drought resistant and somewhat shade tolerant. Sow in spring or late summer. Produces small flowers. May attract bees. Create a floral forage habitat to benefit pollinating species and provide pollinators with a balanced diet throughout the growing season. Made up of 12 different nectar and pollen producing plants. Grows in most soil types and performs in both full sun to partial shade. Our turf specialists will help you select the best varieties to formulate a mixture specific to your needs. Available in a variety of sizes, ranging from 500 g. to 5 kg. capacity can also be used in the winter for applying ice melt to sidewalks.